Bold styling meets engineering excellence. While the sleek, more refined frontal treatment will influence all future Toyotas, there's plenty more on offer. Refinements to the aerodynamics, suspension and steering make the new Avensis a more rewarding drive with better ride, car handling and comfort. 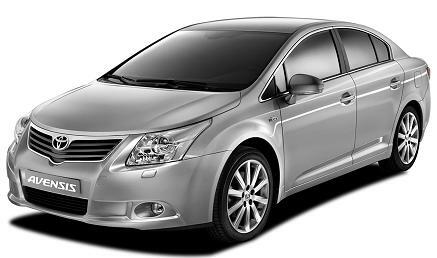 All Toyota Avensis 2.0 D4D TR lease car offers are based on Car Leasing, With 3 or 6 months down followed by 47 or 35 Payments. Business contract hire or Personal leasing offers. The price includes car tax throughout the leasing contract and the car is collected at contract end. We can add additional maintenance packages to the lease to include servicing and replacement tyre costs to the contract if you require. For more information or prices on the cheap Toyota Avensis 2.0 D4D special offer please call us on the below number.